Or Happy St. Patrick’s Day for those of you who don’t speak Irish. But I’m sure most of you knew that it was St. Patrick’s Day this past week. Clearly, that’s not true but I did miss St Patrick’s Day, which is a holiday I enjoy nearly more than Christmas. Criticize if you like but as holidays go, I think St Patricks Day is pretty good. It’s one of my favourite holidays ranked just behind Thanksgiving and my birthday– no really, in Australia sometimes my birthday is a holiday (it often coincides with the Easter long weekend). Similar to Thanksgiving, it’s a holiday built around eating, drinking, spending time with friends. It’s about celebrating what’s great about being Irish (or American for Thanksgiving). There are no presents involved and really it’s just about getting together with friends- and it has a colour scheme/costume idea just to add an extra element! Or at least that’s my interpretation. I know that St Patricks day means different things to different people. Until recently, in Ireland, it was a religious holiday and pubs weren’t even allowed to open- seriously. American Irish or rather Irish Americans in New York, Chicago, and Boston were the ones who turned it into an occasion for a parade and wearing green and celebrating their Irishness and all things Irish in the US. As it turns out, there are Irish people and Irish pubs in nearly every corner of the world—I think there’s a Chinatown and at least one Irish pub in every city on earth. So the American version of St Patrick’s Day caught on pretty quickly. Unsurprisingly, Guinness saw a marketing opportunity for their uniquely Irish product and really promoted the party and pub aspect of St Patricks day, and once the marketing kids got involved- boom, it’s pretty much taken off from there! As we all know, I’m an absolute sucker for marketing and St. Patrick’s Day is a product I’ve fully bought into. I have no doubt I’ll be one of those parents who decorates the house with gold coins and rainbows and who tells the kids to find the leprechauns (apparently that’s a thing now). My first memories of St Patrick’s Day were from school, we had to wear green on March 17th. We also wore red or pink on February 14th so what can I say, I went to a school where being seasonally appropriate was important. It wasn’t a big deal growing up except that a few cities in the US would dye rivers green and they would do a quick news story on it. Between that and my green turtleneck that was it. When I lived in London, I remember hitting the pubs and being surrounded by Irish expats out for a few pints. I think London was where I had my first Guinness- tasty but how did people keep drinking it?? Somewhere there is a picture of me in a Heineken hat – (it was the only green I had)- outside of a pub with a pint of Guinness! I remember being surprised by the sheer volume of people who were all celebrating and hanging out in the street that night. We didn’t have anything in common (I’m certainly not Irish, nor were the Italians I was with) but we all found ourselves in the same place. Realistically, it was moving to Sydney that really cemented things for me and St P. Having two close Irish girl friends I got introduced to actual Irish people- not Americans with a vague connection to Ireland who listened to House of Pain and had a great great someone who had migrated across but actual, real live, real life Irish people. For the first time Ireland was more than leprechauns and U2 and Sinead O’Connor and a vague concept of bombings and ‘troubles’. Growing up in the 80s in the US, that was pretty much what the press coverage on Ireland could be condensed into. 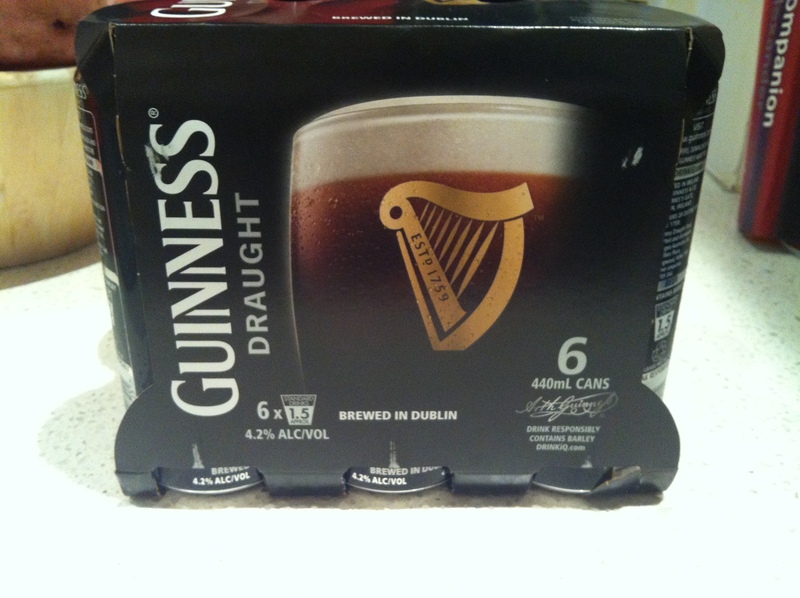 After my first St Patrick’s Day with Irish friends, I was hooked. Not just on the holiday but on what an amazing culture and people it celebrates. Of course St Patrick’s Day oversimplifies 1000 years of history into a few key symbols that are easy to understand and celebrate- music, leprechaun, green, Guinness, shamrock, rainbows, pot of gold- most of which have nothing to do with the real Ireland – but I’m really pleased that I have friends and a fiancée whose culture is so rich, varied, and interesting. Considering the population in Ireland is about the same as the Sydney metropolitan region, it really has made quite a big mark on the world—possibly because most people of Irish descent aren’t actually in Ireland. St Patrick’s Day for Irish expats is a day to celebrate “home” whatever that means to them- that’s the great thing about being an expat- you can pick and choose what from home you want to celebrate and what you want to sweep under the rug. Everyone’s family and everyone’s experience with “Home” is different. Much like Thanksgiving, It’s not how the holiday first started and everyone celebrates differently but it is an experience that everyone can share- Irish or not. Except for me this year. No sugar March meant I didn’t bake chocolate Guinness cupcakes this year, a downpour meant that we didn’t venture in for Sydney’s festivities in Hyde Park and a sprained ankle meant no going to the pub to soak up the atmosphere. In fact, The Runner and I had a quiet dinner and although we had spoken about going to get a can of Guinness to share at home, we didn’t. I don’t even think The Runner has worn his green t shirt in the past two weeks. A pretty poor effort from us really! So I feel a bit deflated and defeated, not only am I limping around pathetically but I missed one of my favorite days of the year. On the bright side, it’s only 363 days until next year and less than a month until my favorite holiday of all- my birthday! 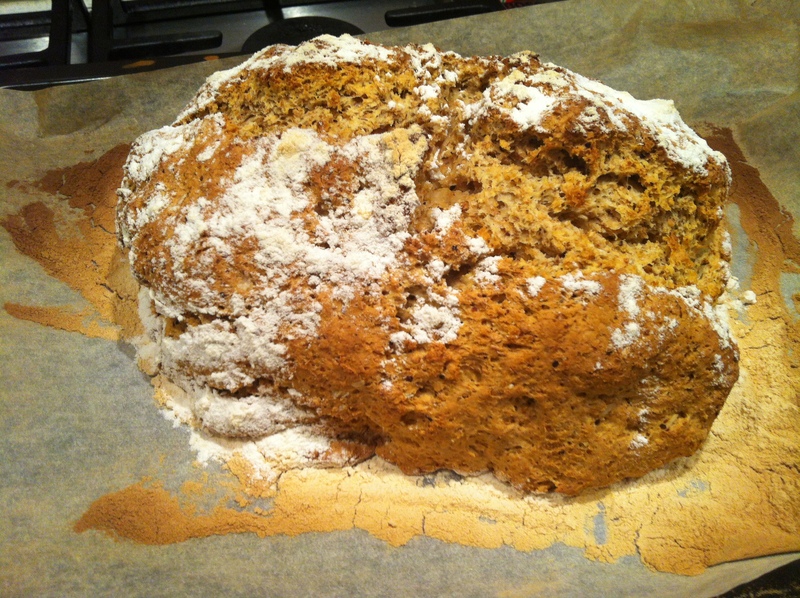 Irish Soda Bread??? I hope! So, my third favourite holiday after my birthday and Thanksgiving is St. Patrick’s Day. Don’t ask why, but it is. It’s a pretty big deal here in Sydney, especially since 60% of the people The Runner and I know are Irish (as in actually from Ireland) so it’s a fun day out. Like all holidays, I like to get into the spirit with food and as I’m home alone tonight, I thought baking would be a good idea. I’m going to attempt Irish Brown Soda Bread. I’m not a bread baker by any stretch of the imagination (unless you count Jiffy Cornbread…..yum, cornbread) but I’m going to give it a shot! The Runner’s mother makes a really yummy Brown Bread that he goes crazy for, in fact she probably made a batch 10 out of the 15 days she was here a few years ago. I’ve tried it once before, and, well, I’m sort of surprised that I’m attempting it again. I’m using the Irish Brown Soda Bread recipe from the blog Food52, (Click here for the recipe), not that Food52 is particularly Irish- in fact it’s not Irish at all, but let’s have a little bit of optimism….. if all else fails, I did buy a 6 pack of Guinness, so if it’s really bad I might just pour him a Guinness and hope that stops the flow of complaints. Anyway! The recipe involves kneading which puts me off slightly but I’m going to power on. It only has three steps, so it can’t be that hard….I hope. Oh, funny story, apparently Kosher Salt doesn’t exist in Australia. I went to Woolworth’s to buy some and the guy looked at me as if I had two heads. I had to spell it, re-spell it and then we went to the Kosher food aisle while he rubbed his head trying to figure out what I was on about. 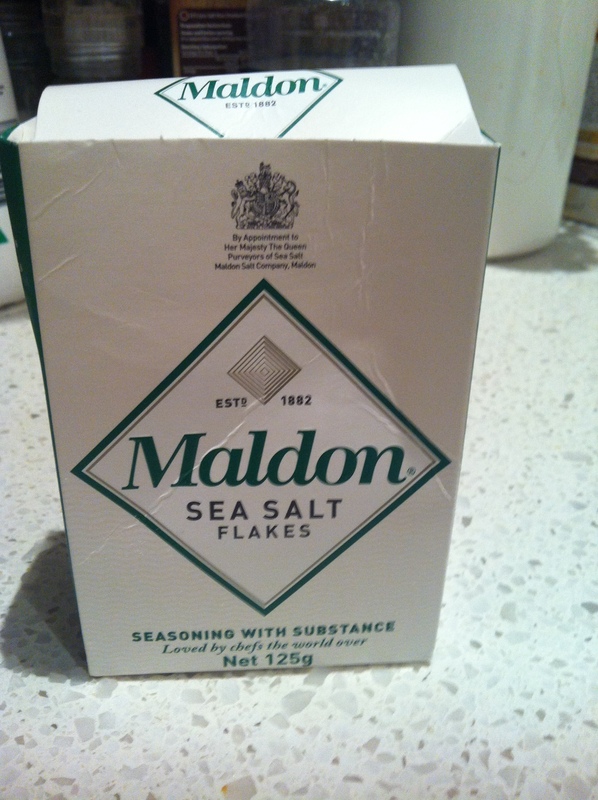 I bought sea salt flakes instead…. So first, I pre-heat the oven (duh!) 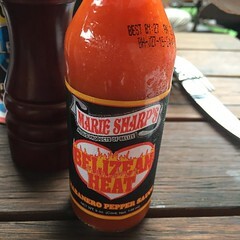 to about 220C. It’s supposed to be 425F so I’m approximating….I still don’t understand why the whole world doesn’t use Farenheit or Celsius, just pick one- seriously!! I cover a baking sheet with wax paper– it doesn’t actually say to do this but I think it might make clean up easier in the long run, and as I already have gotten flour all over my top, I figure saving clean up time might be a good idea later. I combine 1 1/4 cups of plain flour with 1 cup of wholemeal flour ensuring that I will not be having any of this bread since it’s full of gluten! 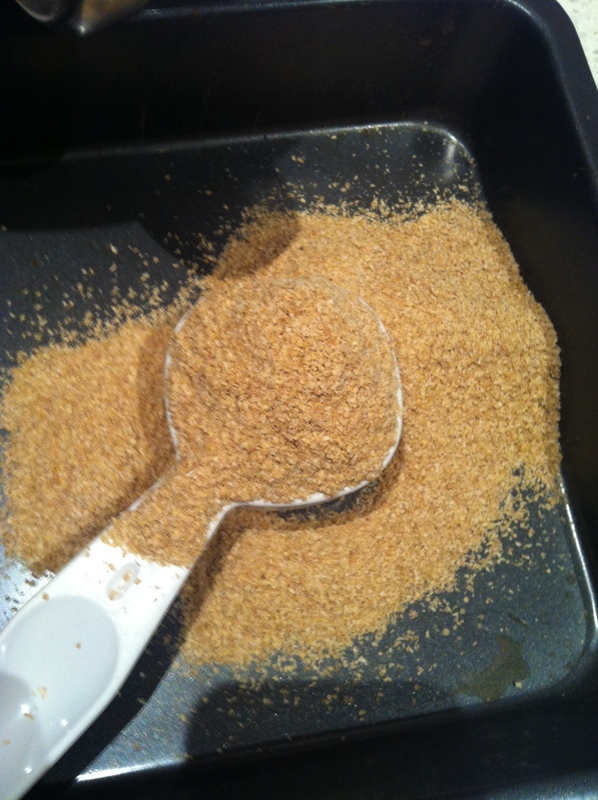 I put in 1/2 cup of wholegrain rolled oats and then I’m supposed to put in 1/4 cup of toasted wheat germ….. how do you toast wheat germ??? Thanks to Uncle Google I realise I have to pop it in the oven for 5 minutes. So I pour it out into the measuring cup and accidentally pour way too much, I knew this would get messy. Necessity is the mother of invention so I make it work. 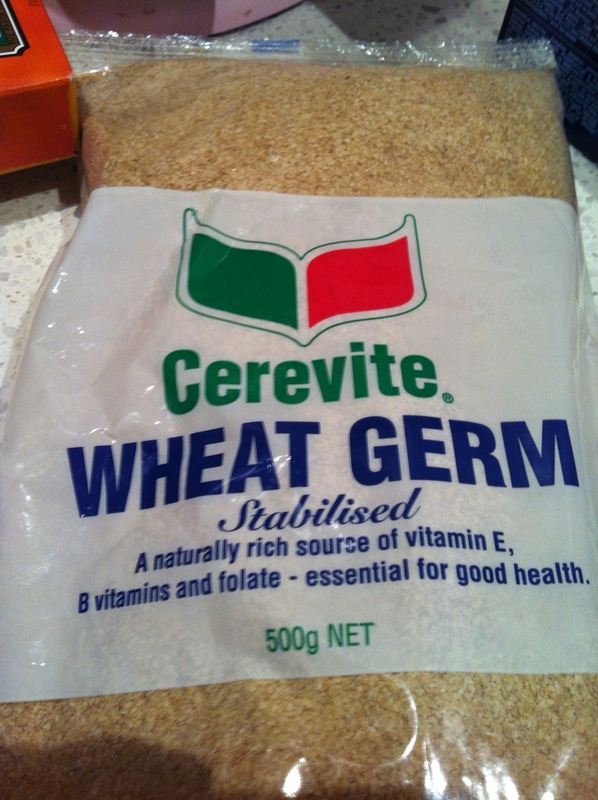 By the way, wheat germ has a very burny smell when it toasts….. hopefully I haven’t burnt it but……hmmmm. I put the baking soda and salt in and then leave it to Barbie (my KitchenAid mixer to mix). 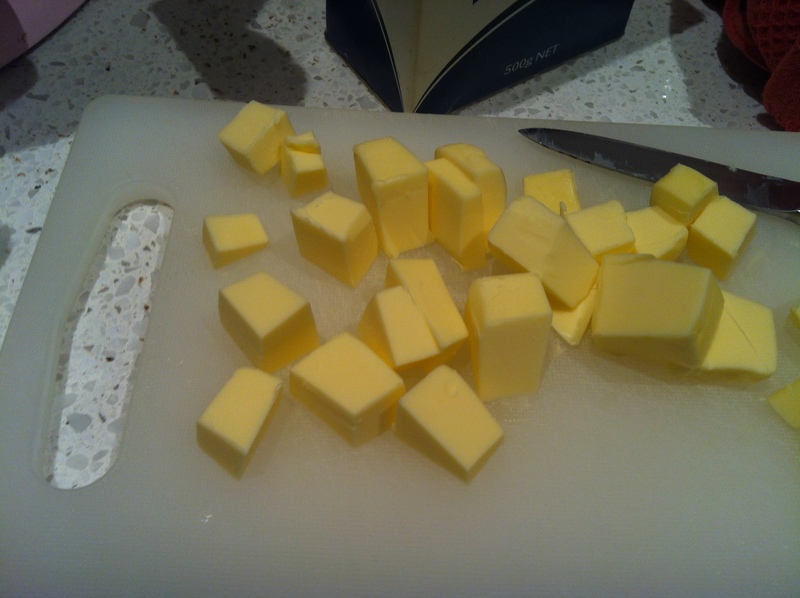 I think have to cut in 4 tablespoons of cold butter. Back to Google, “How much does 1 tablespoon of butter weigh?” Anyone?? Anyone???? If you said 14g, you’re correct! So I need to add about 57g of butter to my dry mix. I actually cut it into pieces before using Barbie to mix it. The recipe says to use my hands or two forks or a food processor, but I think Barbie will be fine…..ok, small point about how lazy I’m feeling right now. 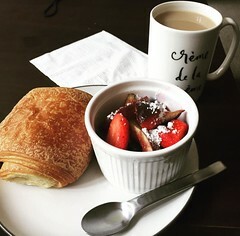 I’ve been measuring everything with the 1/4 cup measurement, because it’s Sunday night, I’m slightly hungry and it seems like the right thing to do right now. However, the butter thing seems like a bit of a gamble, I may have gone too far. But it’s too late, and I’m not going to let the fact that the song “Trouble Trouble” by the Potbelleez be an omen. 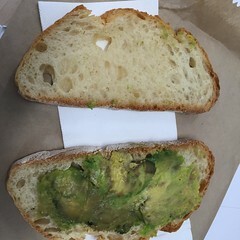 It will be ok, this bread WILL work! I add 1 cup (well 4 1/4 cups) of buttermilk and let it mix. YAY, it looks like dough! I put on Barbie’s dough hook (naughty again) and let her work with it for about a minute. Then I roll it into a ball and flatten into a shape that is something between a 7in round (? what the recipe says) and a flattened chicken. I make an X in the top, or a cross, since I’m praying that this bread doesn’t kill anyone. 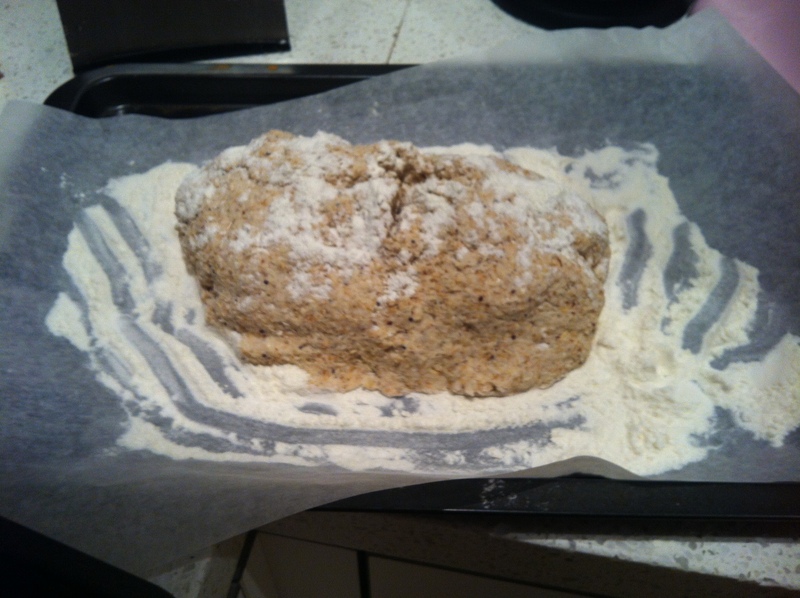 A sprinkle of flour (and hope) and into the oven she goes for 30 minutes…. So…. it’s done, I can’t taste it because it’s not for me, but it’s out of the oven…. The Runner’s away until tomorrow, he’s just cycled 10hours and 21 minutes up and down three mountains. He’ll be back tomorrow and the bread will be waiting for him, when he gets here….. I just hope it tastes better than it looks! Either way, I think I’ll be getting the authentic recipe from The Runner’s Mum in May! And THIS is why I need the Ice Cream Maker attachment for my Kitchen Aid! Seriously, I have less than two months to perfect the perfect St. Patrick’s Day Dessert….. Thinking Chocolate Guinness Cupcakes with Jamesons ganache filling and Bailey’s Frosting, with Guinness Milk Chocolate Ice Cream on the side….. OMG…..I think there’s room for one more attachment in the cupboard…. Yes, I know I should be making a pavlova- or at least something that doesn’t require the oven to be on… it’s sweltering in here. Baking cupcakes was not my best idea ever, but they are The Runners favourite cupcakes- Guinness Chocolate with Bailey’s Irish Cream Frosting (hence the name Irish Cupcakes). I first made them for The Runner’s 30th cupcakes, and I think it could be what convinced him that dating me was a really good idea. These cupcakes are awesome. I found them on the internet- on the Smitten Kitchen blog, and I have to say they’re pretty good. And the best part is getting to finish the can of Guinness while I bake! 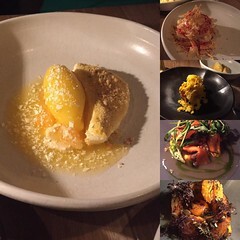 So, that’s my Aussie story for today! Hope you’re having fun wherever you are and whoever you are with!